See full texts, artwork, and Revised Common Lectionary Prayers for this service are available at the Vanderbilt Divinity Library. Para obtener más recursos basados en el leccionario, Estudios Exegético: Homiléticos. Lectionnaire en français, Le Lectionnaire Œcuménique Révisé. In context, the speaker is the leadership of Babylon. Here, the leaders realize the peace and unity of their nation (the healing of their wounds) was bought with the blood of the people they had taken into exile and persecuted. As Christians read this text today, we remember our complicity in the death of Jesus. The psalm falls into two distinct parts. The first part is lament with almost desperate begging for healing. The second part, beginning at verse 20b, is thanksgiving for healing. In the version in our hymnal, based on a previous lectionary, the turning occurs at verse 25. Some congregations choose not to use the "healing" verses at all today. If you use them, do not let them be the focus of the rest of the service. Use Response 1 for Good Friday. The writer portrays the blood of Jesus as covenant blood -- a testimony that God has initiated the new covenant with humanity prophesied by Jeremiah and Ezekiel. Because there is a new covenant, those who are its beneficiaries can approach God and give living testimony in the world with holy boldness. The four sayings from the crucifix that are part of today's account are "Woman, here is your son," "Here is your mother," "I am thirsty," and "It is finished." Let these "four words" stand on their own within the larger narrative of the Passion in John's Gospel, and see where they lead you and your worshiping community. Today is called "Good Friday" among people who speak English and Dutch (Nederländisch), but almost nowhere else. The most common name for this day, translated into English, would be “Holy Friday.” For more on the origin of the term for us and a brief overview of other names for this day, see Dan Benedict's article, "Where Does the Term 'Good Friday' Come From?" Holy Communion is not to be offered at this service, nor at any time again until the Great Vigil or Easter Sunday morning. It is most appropriate to end this service without a benediction, but with a simple dismissal ("Go in peace") and silent departure by all. Today is primarily about letting the spoken words of Scriptures and the prayers and responses we offer present our complicity, our guilt, and our need for repentance in the face of the execution of Jesus. That is why this is the starkest day of the Christian year. This is also why Christian worship spaces on this day have had no adornments, no gold in sight anywhere, no paraments, nothing at all on the Table, no pulpit Bible, nothing but a simple wooden cross (if that), and an empty font. Although some have chosen to use black as a theme color for the day, the overwhelming ecumenical practice has been to use no paraments and thus no color. While basic vestments are appropriate for worship leaders, many clergy wear no stoles on this day. It is, after all, a service of the Word only, and in form more in keeping with the monastic form of vigil than a Sunday service of Word and Table. In some traditions, music on this day is unaccompanied, or only simply accompanied (piano, acoustic guitar or keyboard only, no organ, no "special music," no band, no choir anthems). The utter starkness of this service may present a particular challenge for those accustomed to worship with projected words and images and significant musical accompaniment (whether organ, orchestra, choirs, praise band, or praise team). 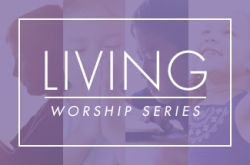 But more than any other day, this is a time for “worship unplugged,” so we can all focus intently on the suffering, desolation, and death of Jesus. If you do decide to remove “technology” from this service, still plan to keep assistive technologies (live captioning, hearing devices, and the like) in place. As on Palm/Passion Sunday, the centerpiece of worship today is the reading of the Passion narrative, this time from John’s gospel. It has been rightly noted that our English translations of John’s Passion narrative make it perhaps the most pervasively “anti-Jewish” of the four gospels. More recent translations, including the version of this reading in The United Methodist Book of Worship (pp. 355-361) and the new Common English Bible, have more accurately translated the Greek term “oi Judaioi” as “the religious leaders.” It is clear in context that John’s gospel uses this term (which, translated most literally, would be “the Judeans”) not to refer to all Jewish people, but rather primarily to point to the leaders in Jerusalem who were involved in the decisions leading to the execution of Jesus. Continuing to translate this term as “the Jews” perpetuates a long and ugly tradition of Christian anti-Judaism. If you do not use the Book of Worship or Common English Bible in reading the Passion today, plan to substitute its translation of this term in whichever translation you offer. Start planning by reading the Scriptures together in your team and listening. The Good Friday service, like the Passion/Palm Sunday service (last Sunday), is a service that especially invites people to listen and enter in to the story of the cross and crucifixion, this time as told by John. The solemnity of this service requires careful selection of readers. Do this well in advance and with good backup plans. Be sure to hold a rehearsal of the reading by all the readers in the worship space well before others arrive for the service. Our core worship resource for this day is "A Service for Good Friday" in The United Methodist Book of Worship, 362-365. Start here and build the service that is appropriate for your worshiping community. A sermon may not be needed or helpful. Let those who gather experience the gospel deeply in the readings, prayers, and songs. If you think it is needed, you might include a short written commentary on each reading for silent reflection in a bulletin or projected onscreen (if you use projection for this service at all) or have your readers offer a one or two sentence introduction to the Old Testament and Epistle texts that highlights the most significant elements. Let the congregation pray the psalm simply, and let the gospel speak for itself. The John text divided for a Tenebrae "Shadows" Service, is found on 355-361 in The United Methodist Book of Worship. 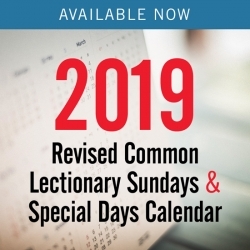 For further help with planning, consult The New Handbook of the Christian Year by Hoyt L. Hickman, et. al. (available from Cokesbury ). This book contains a "readers' version" of the John reading divided for multiple readers, pages 181-185. If you have followed the lectionary, your congregation has had the opportunity to hear and absorb the Passion narrative from Mark on Sunday and from John today. For Passion Sunday, one suggested response to the Scriptures was a penitential form of Holy Communion (Word and Table IV, kneeling). For today, The United Methodist Book of Worship offers another penitential act, the Meditation at the Cross and the Reproaches. The Reproaches as we have them come from Good Friday litanies in Western Christianity with manuscript evidence from as early as the sixth and seventh centuries. The Latin text behind the version in UMBOW dates from the ninth century. The Reproaches are a series of ten statements in the voice of God that confront our failure to respond to God's mighty acts of salvation. It is the church, Christian people, and not Jewish people or any other people, who are being addressed. Each of the reproaches is followed by the ancient Christian hymn response called the Trisagion ( thrice holy) "Holy God, Holy and Mighty, Holy Immortal One, have mercy upon us" (a simple musical setting is available on page 215 in UMBOW; see also The Upper Room Worshipbook, 406). There has also been a long history of musical settings for the entire Reproaches, mostly in Latin, which continue to be sung in many Roman Catholic parishes. Look up "Improperia" on a search engine, and you'll find some. Like the reading of the Passion narrative itself, the Reproaches are to be read boldly and directly and given time to sink in so that we can respond in our minds, hearts, and bodies in appropriate ways. The rubrics in UMBOW suggest that people may "kneel briefly before the cross or touch it" during a period of silent meditation or during the Reproaches. Consider inviting people to do more than a brief bow or a quick touch, but rather to kneel or touch the cross as long as they may feel the need to do so. A third way that may be appropriate for some: prostration. This means lying flat, face down on the ground, a sign of complete surrender and submission to God. The Reproaches are likely to be a very moving experience for some people. Expect and welcome tears, sobs, even loud cries from some, and perhaps profound silence and stillness from others. Others still may display no emotional response, and perhaps little physical response. And still others may find them very uncomfortable. Let the Spirit move and convict as the Reproaches may enable, and seek neither to amplify nor quench the Spirit's work. After the final Trisagion is the Lord's Prayer. At the right time (you will need to judge this based on what is happening among the people), invite all to stand to pray in unison. This prayer says what needs to be said about forgiveness. We can trust God to forgive as we have forgiven others. Then invite the people to depart in silence as they are ready. These days, from the end of Maundy Thursday to the beginning of the Easter Vigil on Holy Saturday night, have historically been days for fasting, silence, and prayer. While not everyone can fast, for a variety of reasons, perhaps many in your community can. Justin Martyr in the second century describes Christians spending these days with those who would be baptized on Easter, teaching them to fast and pray by their example. If you have no catechumens (persons intentionally in a process of preparation for baptism at the Easter Vigil or Easter Sunday morning), consider how persons who are more experienced in fasting and a vigil of prayer may "take on" those newer to these practices during these days and journey with them both to keep the fast (however that may need to be accommodated) and to remain steadfast in watchful prayer. Again, this is a prayer of vigil, of watching, not a prayer of intercession. Vigil may be held either in silence, or aloud. In either case, it may involve total silence and listening prayer, or silence interspersed with praying the Psalms of Lament in course. If you use the Psalter from The United Methodist Hymnal, you may pray them as follows: 3, 4, 10, 13, 14, 17, 22:1-18, 28, 31, 39, 42, 43, 44, 51, 70, 71, 77, 80, 102, 126, 130, 137, 143. For the liturgy for this day see BOW 362-365. The Service of Tenebrae (BOW 354-361) may be used for an evening service following the Holy Thursday Service, or as an additional evening service following a daytime Good Friday service. For resources for "The Seven Last Words," see BOW 365. For more extensive resources for "The Seven Last Words," go to the 1966 Book of Worship. Continue in intercession with our sisters and brothers we remember this week in the Ecumenical Cycle of Prayer: Japan, North Korea, South Korea, Chinese Taipei (Taiwan). Why Stand So Far Away, My God? It’s all done! Finished! Settled!